GO is designed to give you the confidence and independence to go beyond the boundaries of your home. Whether you’re nipping down to the shops, holidaying at your favourite spot, or visiting friends; GO has your safety covered every step of the way. Chiptech is proud to present a new wearable mPERS solution, specifically designed for summoning help beyond the boundaries of the home. Chiptech’s experience in developing personal emergency devices, combined with cellular and GPS location technology has culminated in the creation of this sleek wearable device. 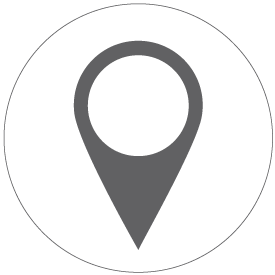 Following a button press, users can be located by SmartCare® Locate, which displays GPS data and features an algorithm to refine a user’s location. This multifunctional device includes a help button, handsfree speakerphone system, GPS location, and optional fall detection. GO has the flexibility to be worn in different ways to suit the preference of the individual. Supplied with a hypoallergenic chain and split ring, GO can be worn around the neck, fixed to a belt, key ring, or conveniently placed in a pocket. Charging GO is smooth and easy using the wireless charging system. GO’s battery will last one to two months with standard use before it needs to be recharged. GO is the perfect solution for summoning assistance anytime and anywhere 3G and GPS coverage is available. The user can have confidence that GO will operate in rain or shine, during any recreational activity, as GO is impact and waterproof. multi-coloured LED lights that illuminate around the outer edge of the device. The user has the ability to conduct a system check. This informs the user of the battery status, the 3G cellular coverage and a GPS check, which logs their current location. When GO is activated the alert is sent to monitoring. This is followed by GPS co-ordinates being sent to SmartCare® Locate; a purpose built web application that displays GO’s current position. This enables enhanced interaction with the GO pendant during an emergency event. GO will work with a user’s existing ERICA or EVE personal emergency response system to send regular tests when the user is at home. 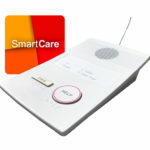 GO will report that it is ‘home’ to SmartCare® Locate in the event of an emergency activation. GO will connect to the SmartCare® Cloud when placed on the charger, and can be updated remotely to receive additional features, setting changes, or to apply firmware updates. This ensures operational efficiency and optimal performance. GO communicates with a 24/7 emergency response monitoring team. GO has a built-in speakerphone system, which allows a two way conversation in the event of an emergency. 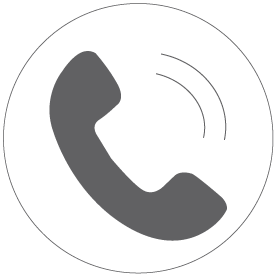 GO’s voice messages provide the user with valuable information as they interact with GO. Voice messages will also inform the user when the battery is low, provide the status of the cellular coverage, and inform when GO conducts a GPS location check. GO also provides helpful feedback of its operation during an emergency activation. 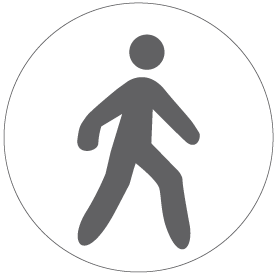 The Lost Mode feature means the GPS location of GO can be sent to SmartCare® Locate, after ‘X’ hours of no movement. This is a config setting, and set at a default time of 72 hours. • A hypo-allergenic stainless steel chain so it can be worn as a pendant. • A split ring which enables GO to be attached to a key ring, belt clip or lanyard. • A wireless charger, plugpack and cable. • A step-by-step user guide. 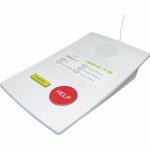 • GO has an internal RFID chip which stores information to identify the device. • 67mm x 47mm x 13.5mm (L x W x H). • Weighs 33g excluding attachment method (chain or split ring). • GO is laser sealed, therefore no changes can be made to the SIM card or GO’s internal hardware. 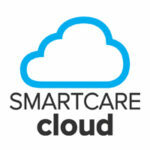 Software and configuration changes are available through Chiptech’s SmartCare® Cloud. • Operating temperature of 0˚C to + 50˚C. • IP67 and hot waterproof. • The lithium-ion battery is rechargeable and will run for approx 1-2 months with standard use before requiring a charge. GO’s battery will need to be charged after an emergency activation. • Recharging takes approximately 3 to 5 hours. • Voice messages and lights indicate when battery is low, at approx 20% capacity, and the low battery is reported to monitoring. • Following a low battery report; once charging and battery is greater than 3.7V, a battery charging report will be sent to monitoring. • Battery life expectancy: approximately 80% capacity can be expected after 350 -500 charges (when charged in temperature of 25°C and fully discharged between cycles), and when the battery is less than 3-5 years old. 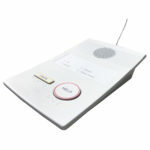 • The inductive wireless charger, USB cable and plug pack supplied with each GO device are Qi compliant. • Contact ID reporting via CSV over cellular data (4 destination addresses, using a combination of static IP addresses and DNS). • Automated self testing and a test signal is sent on the 3G network at a defined period of time. • Regular RF test transmission when learned into base unit. • Installer menu and setting options are available when placed on charger. Volume can be changed, Fall Detection or manual Cloud Connection enabled. Flight Mode is available for transporting purposes. • Single SIM with 3G data reporting on your selected network. • AUS operates on either Telstra, Vodafone, or Optus. • NZ operates on either Spark, Vodafone or 2Degrees. • Penta-Band 3G 800/850/900/1900/2100 MHz module (UMTS/ HSPA). • Telstra approved cellular module. • Location provided through assisted and autonomous GPS methods. • Periodic updates of GPS location are sent until the emergency event is completed. 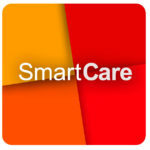 • GPS co-ordinates are transmitted via cellular data to SmartCare® Locate or other GPS mapping platform. • 300m typical in open air, when paired with a Chiptech ERICA and EVE base unit. GO’s two way speakerphone will operate in place of the base unit. • Frequency: Australia 916MHz, New Zealand 869MHz.